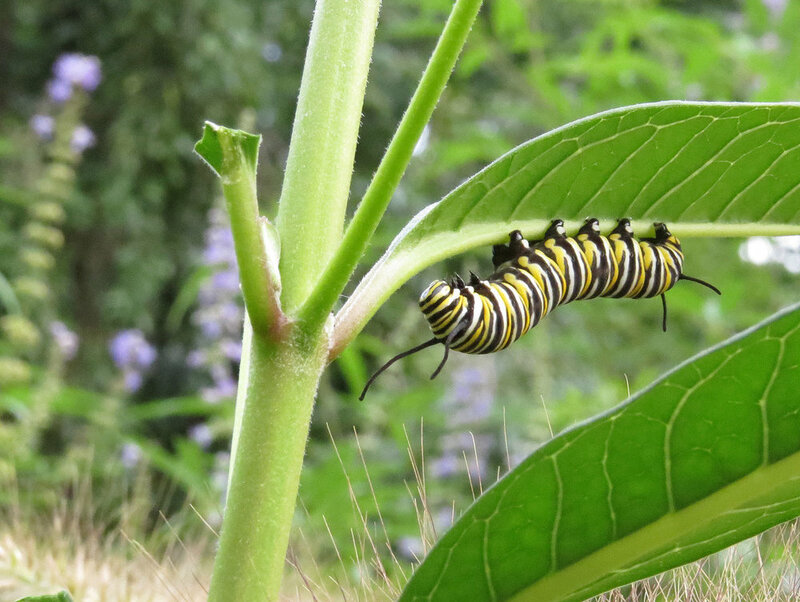 On August 31, monarch caterpillars were chomping down on the milkweed in the garden east of the model boat pond (Conservatory Pond). 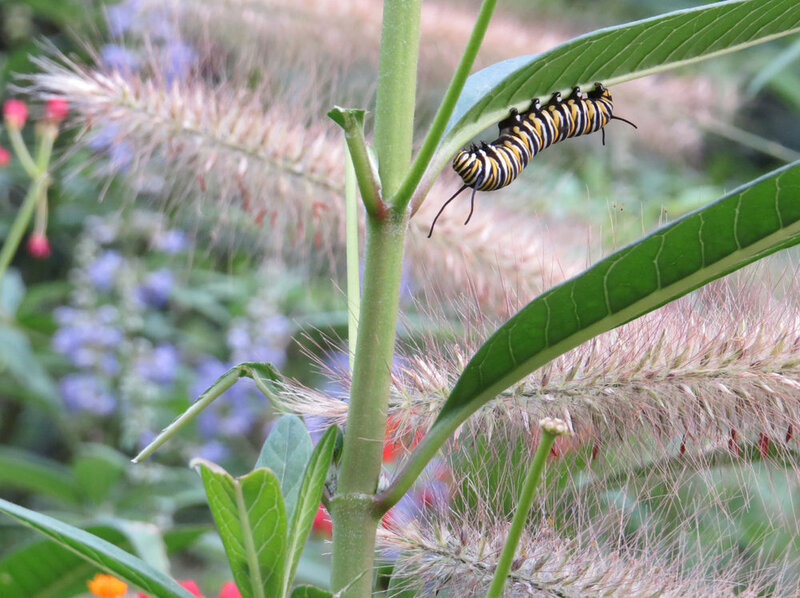 These are monarch larvae, in the 5th instar stage, just before they go into the pupa stage and become chrysalises. What these striped critters aspire to is the magnificent monarch butterfly we are blessed with at this time of year. I did a Silly Video to celebrate all that munching, called Monarch Wannabes. I set it to music by Charles Gounod, including the "Funeral March of the Marionette," which is also known as Alfred Hitchcock's theme music. To be a living being that goes through all these stages, to live such a short time, seems amazing — almost Hitchcockian! Some more photos of the creepy crawlers. So much fun to watch, but they chomp for 3 to 5 days, so are probably building their new homes and hanging out now (apparently, they should be called pupa or chrysalises, not cocoons, because the monarchs don't create silken coverings). 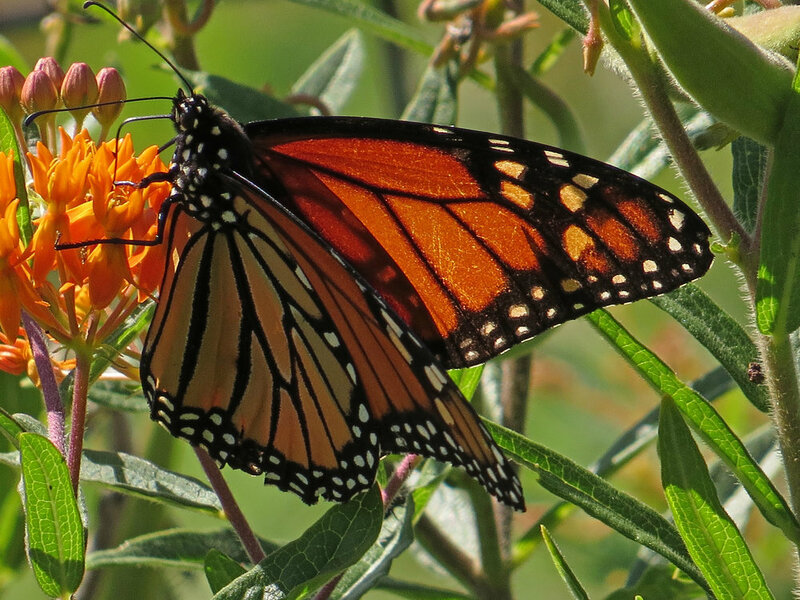 There are a number of sites discussing the life cycle of the monarch butterfly. I like the National Wildlife Federation site, but I had fun looking at other sites.